Atila is an undergraduate biology Peruvian student in the Science and Philosophy Department at Universidad Peruana Cayetano Heredia. His main focus is Evolution specifically on Astrobiology. He’s a current member of the Peruvian Association of Astrobiology (ASPAST). His project at Peru V is related to the effects of Martian environment in some varieties of Peruvian crops. Knowing which species have the potential to survive Martian conditions will increase the number of species that could grow on the red planet and will drive us a step forward to a successful colonization. He’s passionate about the space sciences and he fervently believes that the achievements and discoveries that will be made in the following years, related to astrobiology, will not only take us one step beyond Earth, but a step further for the advance of the humankind. However, these advances would be useless if they were not transmitted to others with the potential to get curious and to go forward to answer questions. For him there is no greater reward than sharing the passion and knowledge of science. Camila Castillo Vilcahuaman (born May, 1995) is the funniest biology student ever, or at least so she thinks. After reading the exciting adventures of a marine biologist and her pet dolphin, 6-year-old Camila decided she wanted to study marine biology, to have a pet dolphin to share adventures with. At school, she decided to form a little science club, to help her achieve her dreams. After an exciting documentary on the TV, Camila discovered tardigrades, super-powerful microorganisms, and their amazing capabilities to adapt themselves to extreme conditions. Since then, Camila dreamed of trying to modify a planet via microorganisms, to make it habitable for humans. She also deduced something about evolution during a bio-class at school, and since then, she thinks evolution is the most amazing event in our planet. She will soon finish her undergrad in Biology at Cayetano Heredia University. Her opportunity at Space sciences arrived when she became a member of the peruvian Society for Astrobiology, where she could share interests with others. She participated in events related to space sciences, such as the ECI (International Scientific Encounter) as a speaker and space sciences workshops aimed at school students. Her current interests are space sciences, evolution, computational analysis and microbial ecology. She is widely interested in how microorganisms interact with each other and their enviroment, and she thinks understanding this systems in various ecosystems (including other organisms like humans and plants) may be important to understand the evolution of life and could also help in the development of new techniques in biotechnology, which could be useful in future space explorations (maybe even terraform a planet). Camila also thinks that computers could help to analyze this massive amount of data. As extracurricular activities, Camila likes to help her community as a volunteer in social projects. She also enjoys drawing, writing and listening to folk and rock music. She is interested in other areas of human knowledge such as literature, history and arts. Camila hopes to one day understand them all! As a member of Team Peru V, she hopes to be one step further in her understanding of microbial ecosystems and to bring an exciting speech to her country, where science is still an unknown topic that a lot of people deserve to know better. Carmen Yhohaira Atauconcha Mendoza born on April 11th, 1996 in Cusco, Peru. She is a chemical engineer recent graduated in the National University of San Antonio Abad, Cusco. Worked in ASPROC Agro-Food Industry as a Quality Assurance Technician. At the university, took part of the organizers of the First Chemical Engineering International Congress in Cusco and was part of the Chemical Engineering School’s circle of studies. Since her childhood appreciates the beauty and mystery of the Earth, stars, overall, the space. She thinks that only a little part of the population, those who are good people, those who look beyond the horizon, are going to survive the final stage when the earth will ascertain its balance. She knows that because of the coming environmental crisis, it will be essential to leave the Earth, to colonize other planets; maybe for a while, maybe for forever. Brandon Ferguson is from Irvine, California in the United States. Brandon study at Cal Poly Pomona as a geology major with an emphasis in geophysics and planetary science. He is interned at NASA Langley over the fall and work with the airbag testing team for Boeing’s CST-100 Starliner spacecraft. After graduate, wants to work at JPL, and continue to study Planetary Science. Presents a strong desire to explore the universe beyond the confines of our planet and would like to one day, be able to walk on another world. Professor Julio F. D. Rezende is been a pioneer in Brazil promoting the education and research related to Mars and identifying some possible solutions to be applied in arid and semiarid regions, verifying issues related to the operation of self-sustainable habitats. Their interests is related to sustainability and innovation. 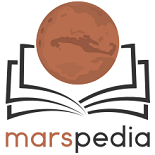 In 2016, published a research about Mars during the 19th Mars Society Convention in Washington D. C.
In Brazil, coordinates 4 pioneering initiatives related to Mars education and science and technology popularization: the research station Habitat Marte, MarsLab – Laboratory of Technologies Applied to Mars and Semiarid, Mars Research Group – Mars and Arid Regions Settlements Sustainability, and the Museu Espaço Marte. He is also creating the Mars Society Brazil chapter. The professor is interested in research about climate change, Mars, sustainable development of semiarid regions, economic development, entrepreneurship and sustainability practices. He is acting in sustainable construction in communities. Rezende is Bachelor in Management and Psychology, master and PhD on Sustainability at the Universidade Federal do Rio Grande do Norte (UFRN) and concluded the post doc in University of Central Florida (UCF) researching about the support of Business Incubators and Science Parks in the creation of new clean tech companies. Julio Rezende has published more than 10 books about sustainability and innovation teaching in the Industrial Engineering Department of Universidade Federal do Rio Grande do Norte (UFRN). Rezende is president of the Management Council in Brazil (CRA-RN), innovation director of Foundation of Support of Rio Grande do Norte’s Research (FAPERN), performing lectures in different countries about sustainability, innovation and management in English and Spanish.